With Cliniserve, staff can communicate digitally and via mobile from point-of-care. Whether with each other, with the patient or with the control of internal processes - Cliniserve sets no limits. All this comes with all the necessary integrations, without the need to make big changes & investments in your IT. Cliniserve offers a portfolio of products that supports the work of nurses. In the digital communication between patient and care in addition to the nurse call system, the appropriate distribution of automatically created tasks or the control of internal processes, the system is adaptable to the device. However, an intuitive mobile application always makes work at point-of-care possible - in line with the reality of station work. At the same time, the employee will not forget: every product noticeably relieves the user. Implementable recommendations from the evaluation of unprecedented data and the link with data from existing systems also help management identify and balance peak loads. Cliniserve makes the implementation as easy as possible: The products can also be used directly without integration and without investment - integration is only then needed where it results in a benefit. Ou only need to integrate our software ehen you really want to. This saves time and money. Cliniserve helps to digitilize the health care industry. This is the only way to ensure sufficient care for patients with less-experienced nurses in the future. Without the individual nursing staff having to work more and reach their limits. In addition Cliniserve helps the nurses to get more time for the actual nursing work. 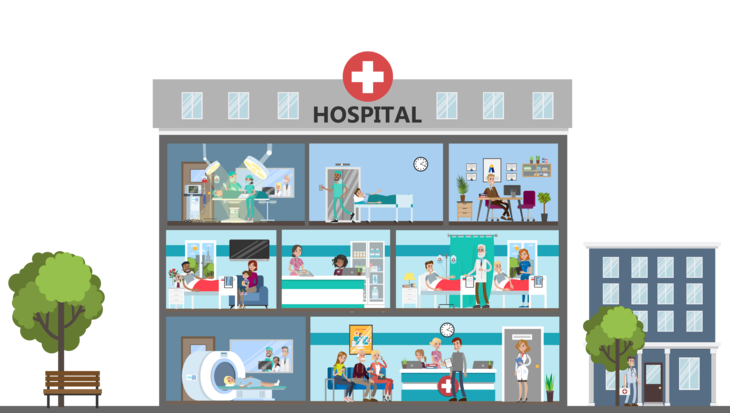 Support staff are deployed across the hospital and processes are automated or accelerated through integration in the allready existing systems. Time that is saved by nurses prioritizing and avoiding a doubling of the routes through cliniserve patient care communication. Premium service for private and elective service patients through the offers of the Cliniserve Patient App. Less time spent on non-specialist activities through the automatic delegation of the Cliniserve system to auxiliary staff. and make patients efficient and resource-oriented. Nurses can respond specifically to the needs of patients. The patient can actively participate. Thus, both sides profit!